The Smok Alien TC Box Mod, with big OLED screen, easily read the vaping information, max output 220watts, support resistance as low as 0.06ohm under temp control mode, the new smoktech temp control vape mod powered by 2pcs 18650 batteries, contour curve of the shell is smooth,well combined of USB port,OLED screen and all functional buttons is easy to operate. the clear and precise OLED screen offers an entirely new operation interface, more vaping data such as VW/TC mode, vaping effect, voltage, battery life, resistance value etc.side with big fire button like the h-priv kit.with micro USB port, only for upgrading use. 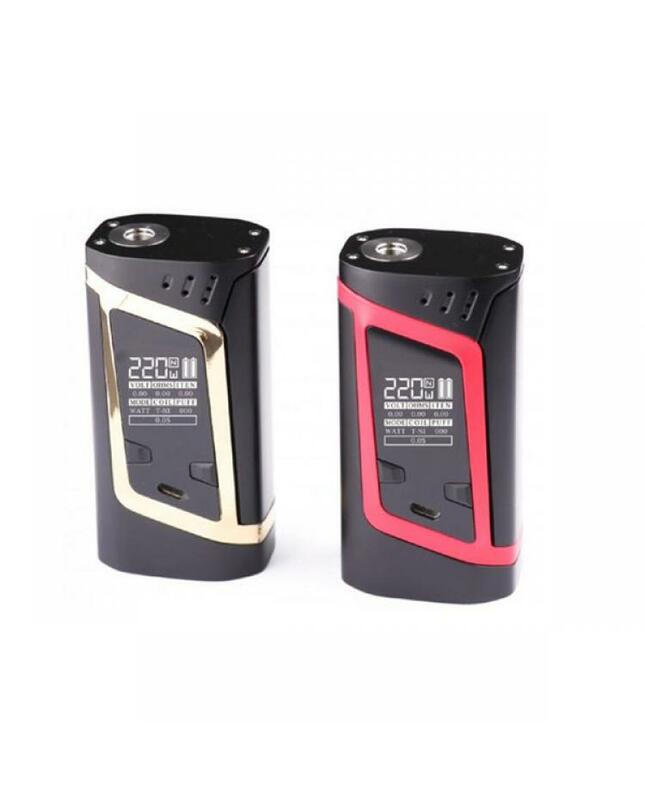 smoktech alien mod sales recommend works with baby TFV8 tanks. three different colors available, vapers will get more fun and better experience.